The Diamond RH3 is called a "Bullet" antenna because it is not much longer than a bullet! It is only 1.75 inches tall and is designed for 2 Meters and 440 MHz. It can be used for wideband receive from 120 to 900 MHz. Frankly it is not much for gain (-2.5 dB relative to stock antennas), but it is conveniently compact. It can handle up to 10 watts and terminates to a 50 ohm BNC. +6dB gain relative to typical stock antennas. Comes in BNC and SMA mounts. Medium Size mobile antenna mount with PL-259 connector and cable. 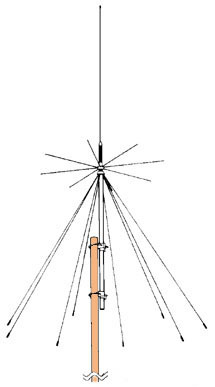 4 or 5 band Mobile antenna. 6,2M & 70cm built in. Comes with loading coil for 10M. Loading coils available for 40, 20, 17 & 15M bands. Can use up to 2 HF coils at a time for 5 band operation. 50/144/430MHz AM/FM/Air band/150/300/450/900MHz for receiving only Gain:2.15dBi(230MHz) / Max. 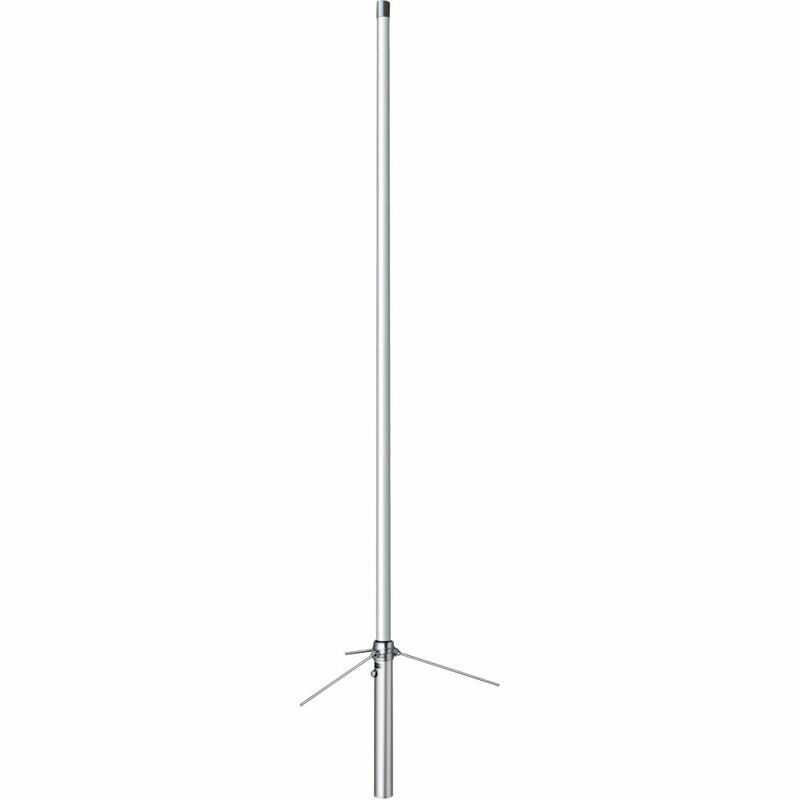 power rating:10W / Impedance:50ohms Length:45cm / Weight:44g / Connector:SMA-P / Type:1/4wave(144MHz), 1/2wave (430MHz) this antenna is very top heavy and flexible! The Diamond D-130J discone antenna receives solid from 25 to 1300 MHz! It can also be used for transmit on 50, 144, 430, 900 and 1200 MHz ham bands (under 100 watts). The discone design offers the best performance possible in an omni-directional antenna. The D-130J is our most popular VHF/UHF monitor antenna. This stainless steel antenna is 5.5 feet (1.7m) high and attaches to any standard mast from 0.98-2.05 inches (25-52 mm) with two supplied U-bolts. The mast is not supplied. Weight is 2.2 lbs (1 kg). The D-130J terminates in an SO-239 jack (it accepts a PL-259). Coax cable is not included. NR770HB mobile antenna, 2m 1 1/2 wave , 70 cm 2 5/8 waves 200 watts maximum with a UHF connector, 40.2 inches long.